There are blues men and there is Blues Royalty. This is without question one of the last original Kings of the Chicago Blues. 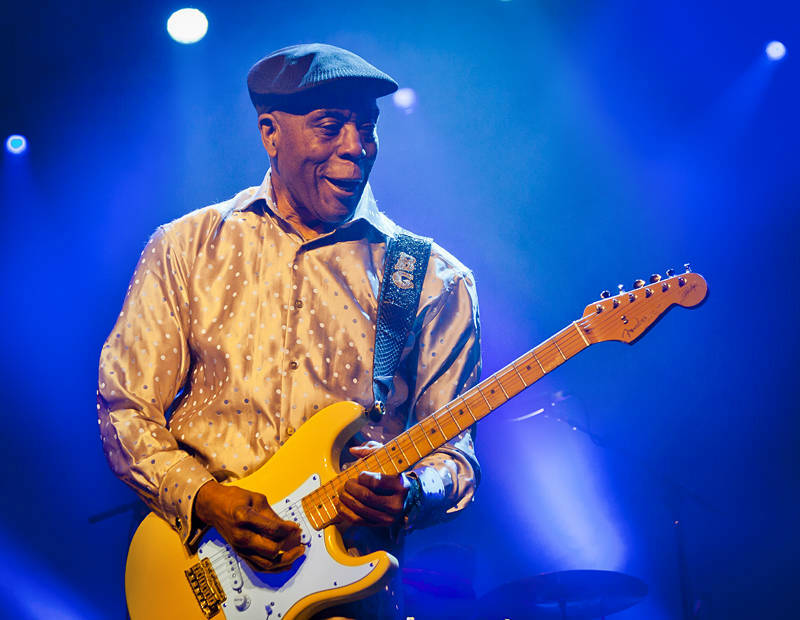 Bluesfest 2017 was honored to have Buddy Guy playing on the Crossroads stage tonight. It was hard to believe he is 80 years old as he strolled around like someone half his age. Guy has been called the bridge between Blues and Rock and Roll as he links electric blues pioneers such as Muddy Waters and Howlin’ wolf with popular musicians like Eric Clapton, Jeff Beck and Jimi Hendrix who copied Buddy’s tricks of playing the guitar over his head and with his teeth.